This website gives you quick links to your Facebook messages (now Messenger): new messages, unread, other and archived messages from Facebook. 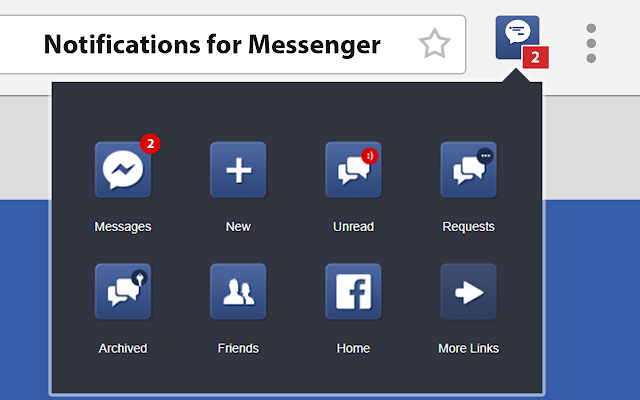 Get notifications for new Facebook Messages and have quick access to Messenger. The Chrome plugin Notifications for Messenger gives you small indicator for unread new messages and quick links to your Facebook Messenger: new messages, unread, requests and archived messages. Direct access to your Facebook friends and to Facebook.com homepage. You can rearrange the Chrome extension buttons in the order you like. Just press the image, drag it to the new location and drop it. 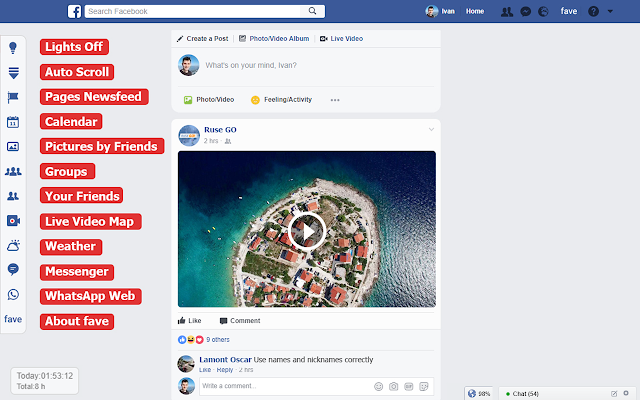 A Chrome extension gives you new functions and layout for Facebook. News feed only, autoscroll, timer, quick links, lights off, new design for Facebook. fave is an extension for Chrome that adds new functions and makes changes to the layout of Facebook. 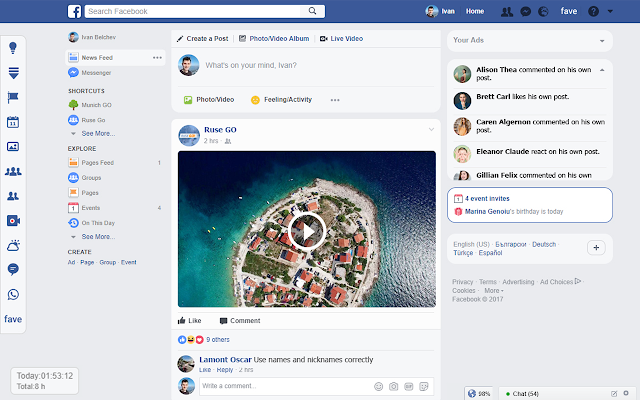 fave adds new functions like Show Newsfeed Only, Auto Scroll, Timer, Scroll To Top, Quick Links and makes design changes to the layout of Facebook. - Hide/Show News feed: You will not see posts on Facebook home page. - Quick Links panel on the left side on Facebook. - Timer: now you can see how much time you spend on Facebook. It displays the time for today and in the past. - Your Friends: list with your Facebook friends and number of unseen posts. Now you can rearrange the buttons in the order you like. Just press the image, drag it to the new location and drop it. The new order is automatically saved in a cookie.